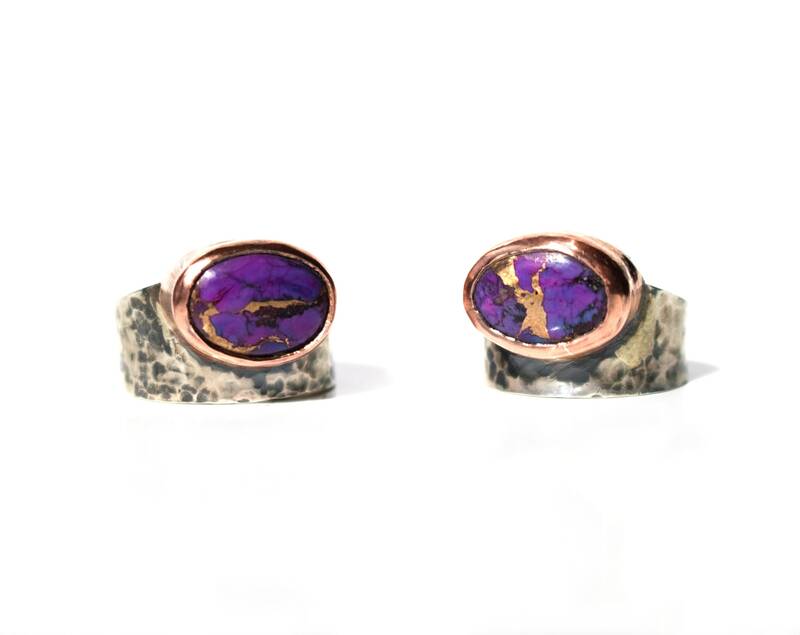 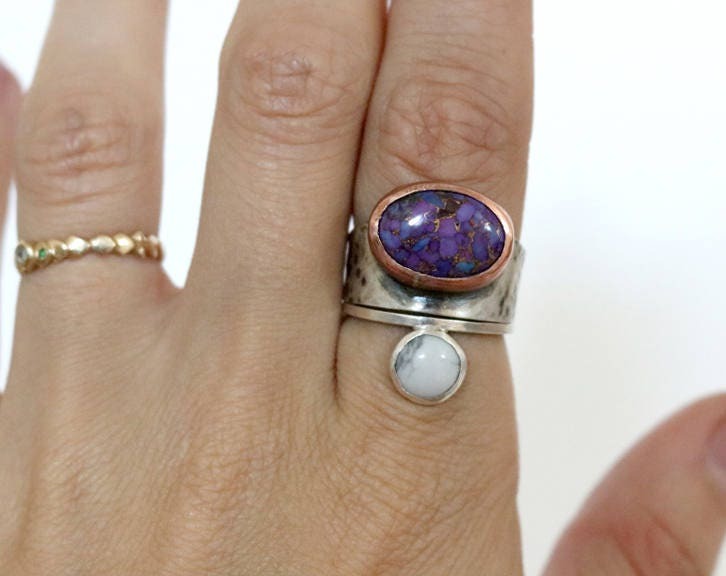 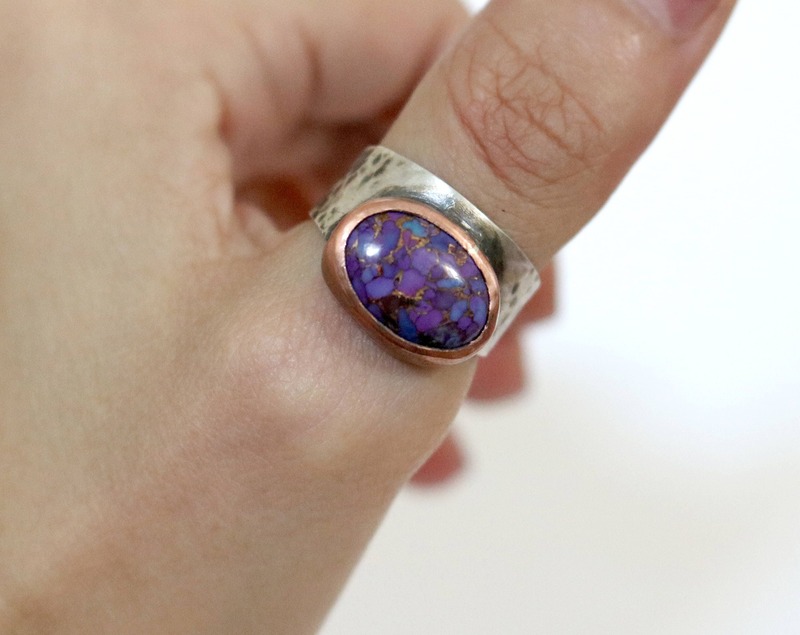 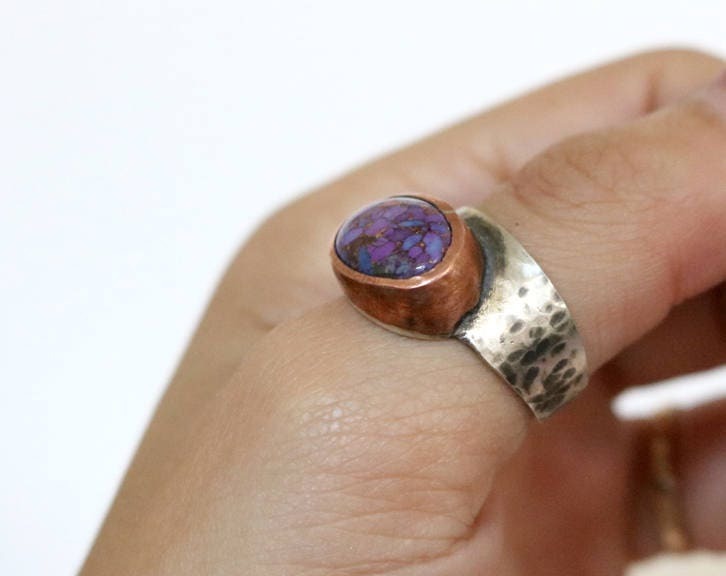 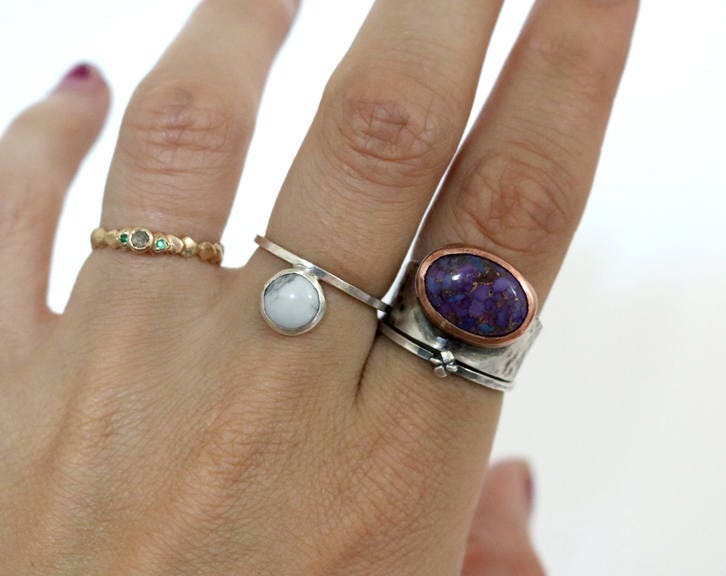 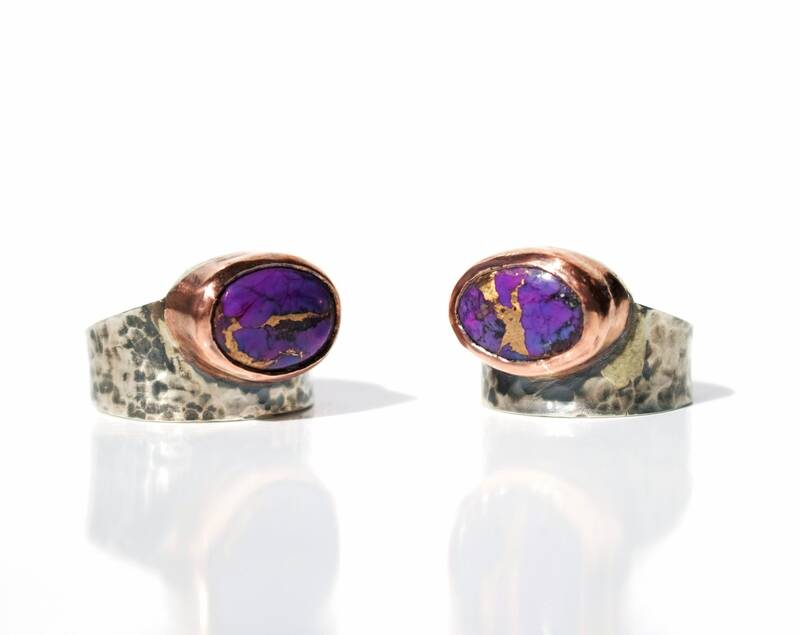 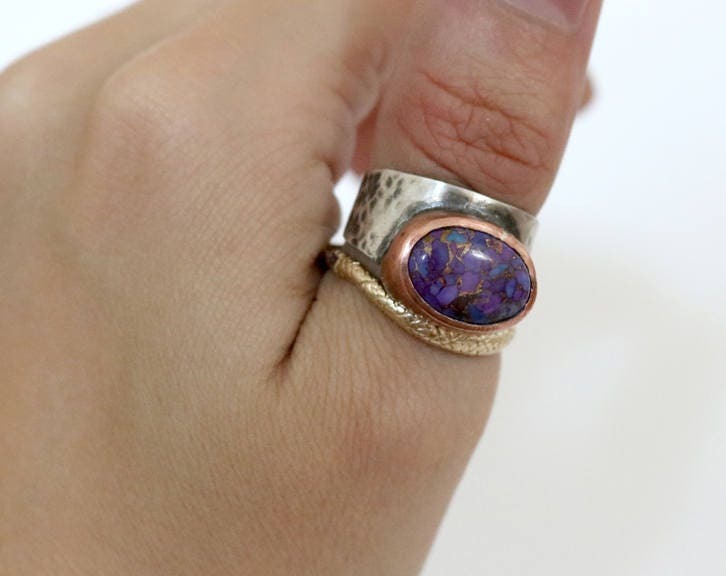 This hand fabricated ring features a purple turquoise cabochon, set in a copper bezel, on a hammered silver band. 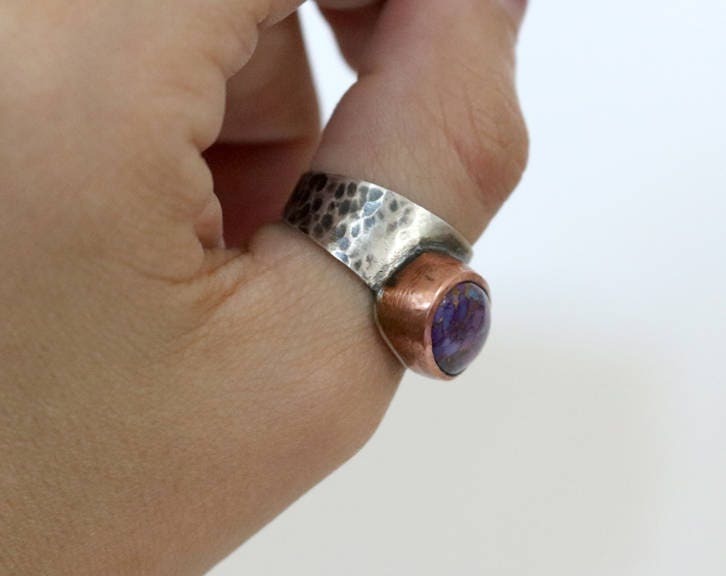 This ring stands on its own, but also looks great stacked with more delicate rings. 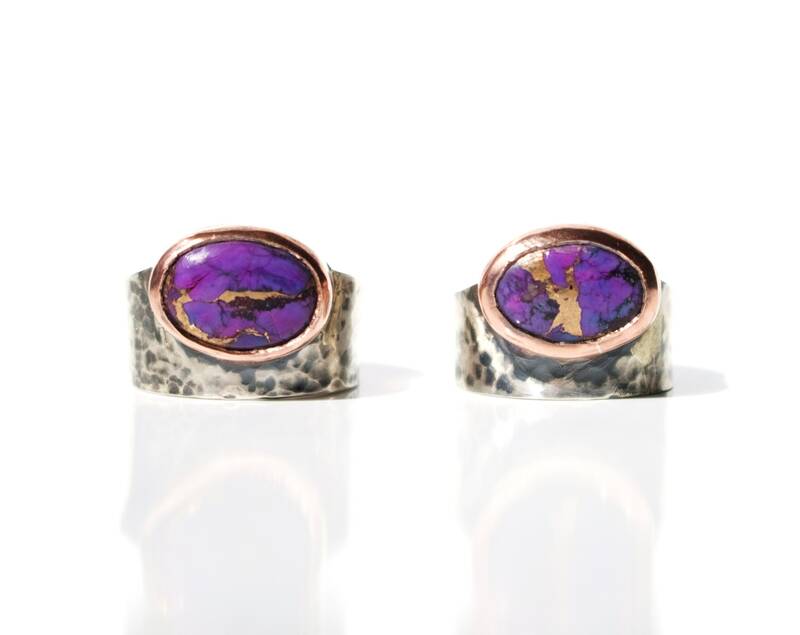 The turquoise is made purple by reacting with copper during its formation.